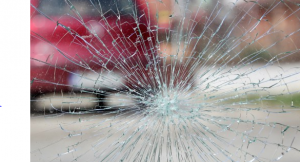 44-Year-Old Driver Will Not Be Charged In Crash That Injured A Pedestrian | Schuler, Halvorson, Weisser, Zoeller & Overbeck P.A. A pedestrian is hospitalized after he was hit by a vehicle at the intersection of Palm Beach Lakes Boulevard and Dixie Highway in West Palm Beach, Florida Highway Patrol reports. The West Palm Beach police authorities said a witness told them that the victim was walking south near the northeast side of a bridge. A vehicle driving west from a nearby gas station struck the pedestrian. The driver, a 44-year old Port St. Lucie woman, said the person came out of nowhere and hit his windshield. After the crash, the 44-year old driver stayed at the scene and called police authorities and the Florida Highway Patrol officials. “It looks as if they jumped onto the window shield because there are no dents on the front part of anything else, so it is kind of like he jumped into it. I saw him kind of go head first,” said the 44-year old driver. The victim was taken to a nearby hospital. The extent of the person’s injuries has not yet been released. Police authorities said, a preliminary investigation indicated that the driver will not face charges. The road was back open to traffic.